Many often confuse recruitment and talent acquisition believing they mean the same thing; filling a job role. True talent acquisition is about proactively searching for talent which fits in with future business requirements regardless of whether a position is immediately available. Talent acquisition isn’t something any recruiter can do. It’s far more than simply finding the right person for a vacant position, as you also need to consider the future needs of the business and ensure you have a talent pool of the right individuals when a position does arise. You need a strategic view when it comes to talent acquisition. You’re looking beyond traditional recruitment methods and taking a long-term view. Planning for succession management, predicting when specific openings will become available due to business demands and looking at how new talent will fit into a business and enhance it are all part of talent acquisition. Let’s consider it as a process similar to searching for treasure. You aren’t just searching for a gem that fits you immediately; you’re looking for a gem which fits a specific role and purpose in the future and long-term. Here’s four ways you can integrate a talent acquisition strategy into your business and reap the benefits too. You use tech in every other aspect of your business so why not in talent acquisition? 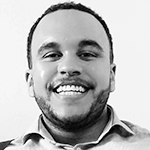 There’s a heavy focus on customer relationship management to create meaningful connections, but those interactions are unable to be completed if you haven’t got the right employees to do the job. You should invest in one of your most critical business functions – recruiting. If you want to succeed in talent acquisition, then you need to ensure you’re equipping yourself with the best tools possible in order to secure the best talent out there. HR analytics and personality testing play a major part of the acquisition and retention process. Psychometric testing can be used to understand applicants and current staff, looking at how personality traits have been successful when hiring for certain disciplines. By using these techniques, companies are encouraged to consider their history and the DNA of their own successful employees to repeat this success. You can also carry out team analysis and communication reports which allow you to make sure that every department has a balance of character types and that the individuals complement each other and are not confrontational. If you want to succeed in talent acquisition, then you need to ensure you’re equipping yourself with the best tools possible in order to secure the best talent out there. You don’t just need to ensure someone is a good fit on paper; they need to fit in with the wider business and be able to meet your future business goals too. If you want to achieve your business goals, then you need to ensure you have the right people in place to meet those goals. 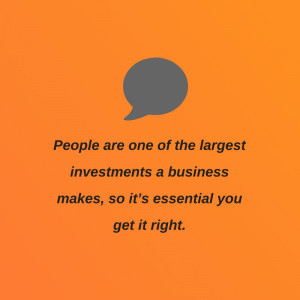 People are one of the largest investments a business makes, so it’s essential you get it right. Hire the wrong people for the job and business, and you’ll waste time, money and resources. HR shouldn’t be an afterthought, so combat bad hires by putting talent acquisition at the forefront of your business. You need to ensure that you have a clear short and long term view for your business. If you provide recruitment teams with this, then they can ensure all areas of the businesses key functions are supported. If you put talent first, then your talent pipeline is always going to be full of those who are fully invested in your company and ready to do the job at hand. The job market is increasingly competitive and with some people willing to take any job out there, as a business you want to ensure you’ve secured those who are truly invested in working for you. Business is often about ‘who you know, not what you know’ and the same goes for talent acquisition. You need to have connections with other key players in the industry to ensure you’re all on the same page when it comes to the kind of talent the business requires. It’s not good discussing one thing with a prospect on one platform, and an official job description to say another thing. Consistent messaging is key in talent acquisition, so take the time to develop solid partnerships with those you’ll encounter and be working alongside. If you don’t know your business, then how are you going to effectively predict future company requirements and secure the right talent? Answer: you won’t be able to. If you want to succeed in talent acquisition and watch your business grow, then you need to familiarise yourself with the business needs. If you’re losing talent to competitors, then what’s driving this to happen? Why are people choosing to work for similar companies, but not yours? Identify what sets you apart from the rest, and why the best place for the talent to work is at your business.